Created by Milton Bradley in 1956, Yahtzee continues to be a popular game with children and their families. Yahtzee Jr., is a version of the classic game designed for toddlers and younger children, usually centered around a theme such as Pokeman or Disney characters. But no matter which Yahtzee Jr. game is being played, the object remains the same, roll the dice and score the highest number of points by matching the icons on the dice. Open the Yahtzee Jr. box and set up the game. This includes five dice, scoring tokens, scoreboard and dice cup. Pass out five scoring tokens, all the same color, to each player. The player who is youngest takes a turn first, then turns move to the person on the left. Place all of the dice in the cup. Shake and roll the dice. Try to roll as many of the same icons as possible. Select the dice to keep and set aside. Place the dice to re-roll in the cup. 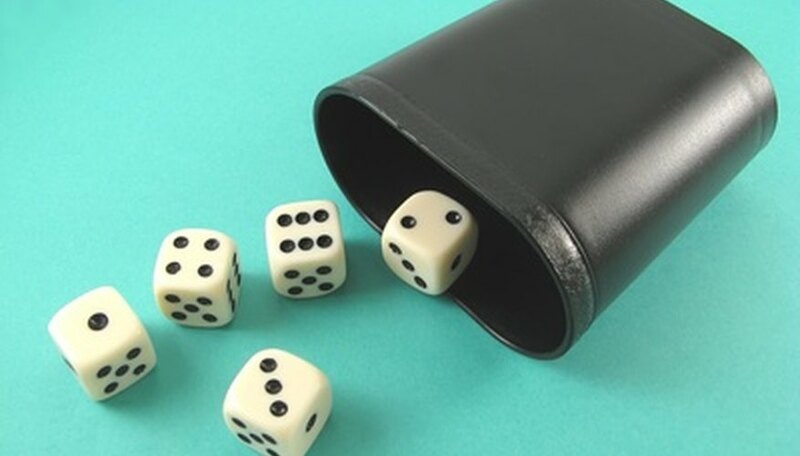 Players can roll the dice up to two times after the initial roll. The more icons matched, the higher the score. Score the dice after the player’s turn has ended. Score the icons with the most matches because it will generate more points. Place a token in the matching icon’s row and in the column that corresponds with the number of matching icons rolled. Continue taking turns until play has ended. A winner is determined by adding the columns together. The person with the most points wins. If the player rolls a Yahtzee, which is five matching icons, put the token in the Number 5 Column of the icon's corresponding row. Once a token has been placed on the board, no player can move it until the game has ended.